We are passionately engaged in providing a wide assortment of Welding Electrode Wet Mixer. Our provided wet mixer is used to effectively mix the dry powder of flux with the binding agent to obtain a wet mix. 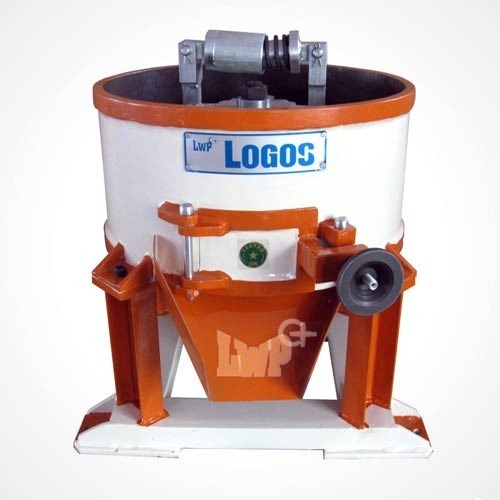 This wet mixer is obtainable in diverse specifications as per customers choice. We develop this wet mixer by using excellent quality material & techniques in adherence with set norms. We Logos Weld Products founded in the year of 1994 are a leading organization of the industry actively engaged in manufacturing, supplying and exporting a broad range of Welding Electrode Machines. Offered assortments of products are Welding Electrode Machine, Wire Straightening Machine and De coating machine highly appreciated by the clients for their superior quality, excellent finish and accurate performance. These products are manufactured and designed from best quality components that are procured from the best and popular suppliers of the industry. To suit the diverse demands of our valued clients, we are offering these machines in many varieties. Apart from this, our patron can buy these machines from us at industry leading price. We export our products in all our the world. Our organization is a best resource to collect the offered range of products as our products are manufactured as per the set industry norms and standards at our ultra-modern infrastructure unit. Our infrastructures have installed all the modern machines and tools to manufacture the officered products with a smooth production rate. With the support of our wide distribution network, we have been able to provide these products safely at client end within limited frame of time.